I can’t remember a time in my life when I didn’t write. It’s something I’ve always done, something I’ve always been passionate about. From the time I was old enough to hold a pencil, I was writing. I’m sure you’ve all heard the old sayings,”pursue your passion” or “follow your dreams.” Both of these statements are true, to a point. It’s great if we can pursue our passions and follow our dreams, but we have to be careful with how we interpret these phrases. Steve Jobs said, “You’ve got to find what you love…the only way to do great work is to love what you do.” The key here is work. Just because someone loves to write doesn’t mean they should quit their day job and pursue a fulltime writing career. Pursuing your passion requires work. No matter how passionate you are about something, no one is going to care about it simply because you do. In fact, most people won’t care at all. You have to make them care, which means you must work hard and cultivate your skills to show them you are passionate about it. To follow your passion implies you’ve discovered it. To cultivate your passion means you work toward building it. 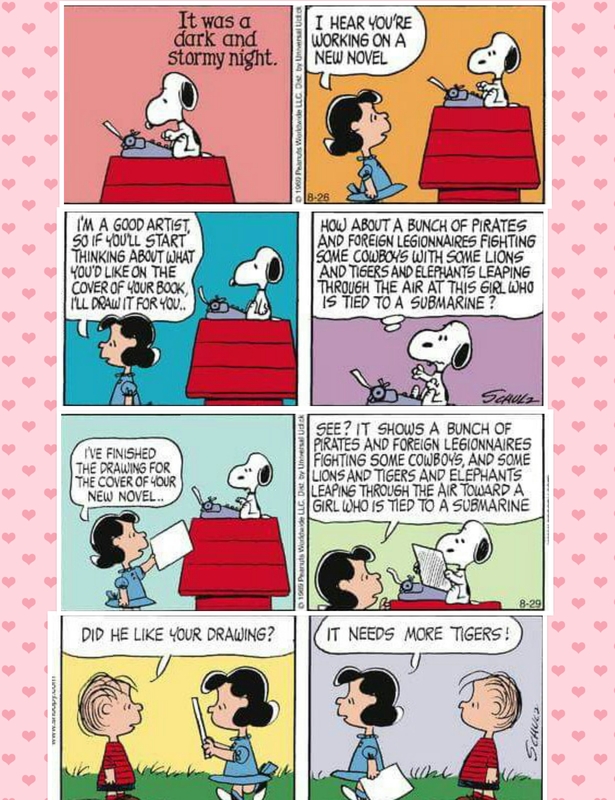 I love to write, and those of you who are writers, I’m sure, are right there with me. But the only way I can follow this dream is to work hard and strive for improvement. No one is a bestselling author overnight, and few writers are successful the first time they write something. Most writer’s first attempts are full of rejection letters, negative feedback, and constant self-doubt. I’m not any different. Now I could give up my dream of being a writer at this point, or I could work hard to improve my skills. My passion for writing drives me to succeed, therefore I’ll push myself to improve. I’ll cultivate my passion. I can’t just expect people to love my work and praise what I do simply because it’s my passion. If I want to be successful, I need to work hard to make it happen. Too many people go through life thinking they will instantly be successful at something simply because it’s what they love to do. I hate to be the one to burst your bubble, but this is not the case. A young woman may want to be a doctor and may be passionate about the medical field, but if she’s not willing to learn necessary skills and work hard to improve them, the concept of “following her dream” and “pursuing her passion” will never happen. Dreams don’t just come true. You have to make them come true. Let’s go back to the Steve Jobs’ quote for a moment. Yes, you do have to like what you do to do great work. Obviously if you don’t like what you’re doing, you’re not going to work as hard to do well. But if you’re passionate about it, you’ll work your tail off to make sure you’re doing a good job. I’ll use my day job of teaching as an example. You can tell the minute you walk into a teacher’s classroom whether or not they love teaching and are dedicated to making a career out of it or are only there until another opportunity presents itself. Teachers who are passionate about teaching put in extra hours, spend weekends writing lesson plans and grading papers, are involved in after school activities and committees to better not only themselves, but the entire school. They go the extra mile. They are energetic and work hard to help students meet their goals. But they are working, that’s the key. They attend conferences and meetings and training session to improve their skills as teachers so they can do an even better job. They cultivate their passion. As writers, we must do the same. And for me, this is true. I write simply because I love to write. But if I want to gain an audience, sell books, and receive accolades, I must earn them by cultivating my passion for writing. This means I put forth the effort and develop the necessary skills to make that dream come true. By all means, do what you love. Follow your dream. But you must work hard to improve your skills and cultivate your passion to make it happen. As a teacher, it’s hard these days to get kids interested in books, let alone get them to actually read one. This article gives very sound advice to parents on how to do that. This week’s #momlife post was requested by Tikeetha. She asked for tips on getting your child to read even when they don’t want to. I am truly flattered by a review my second book just received from Opus Book Review. Check it out. 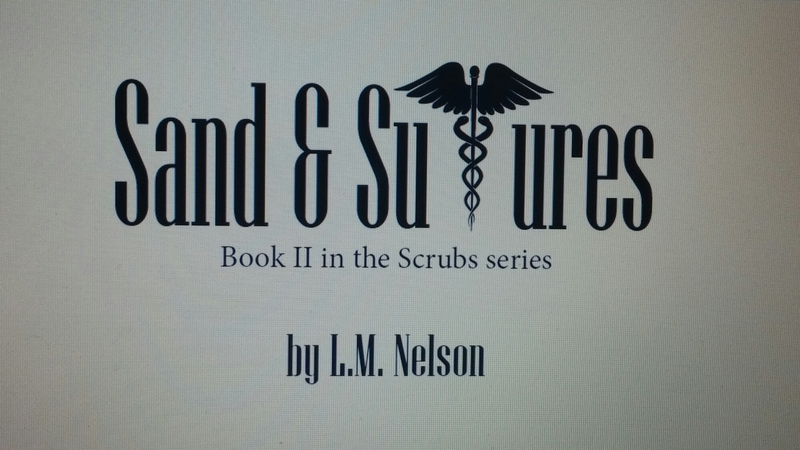 “Sand & Sutures (Scrubs Book #2) is the second of a four book series by author L.M. Nelson. Please allow me to introduce the other books in the series, the first being Scrubs (Scrubs Book # 1), Beyond the Hardwood (Scrubs Book #3) and finally, Center Stage (Scrubs Book #4). The last two books have been written, (Thank goodness!) and will be published in the near future. I recently had the opportunity to read Sand & Sutures, released in May 2016. Soon I will be reading the first book in the series, Scrubs and let me tell you, I CANNOT WAIT to crack the spine on that one! However, it is not necessary to have read Scrubs Book #1 in the series in order to FULLY enjoy Sand & Sutures. The book stands alone just fine and I have to tell you, boy oh boy, did I enjoy it! As I was nearing the end of Sand & Sutures, that time where I usually start to mourn the book if I have fallen in love with it, I took comfort in knowing that I would go back and read the first book in the series and see how all of this came about! The original Scrubs, released May of 2015, has been re-released after undergoing a slight revision. To further lessen my panic, I have the third and fourth books to look forward to and by then perhaps I will have talked author L.M. Nelson into writing these characters until they are old and grey, nearing the end of their lives…..and hey, there is always the next generation. I LOVED THIS BOOK. Let me tell you why. The story revolves around the life of Dr. Randal Hanson, his family and extended family as well as a wide, delightfully diverse group of close friends that are largely in the medical profession. I quickly understood that these close friendships arose from the grueling and intense experiences of surviving medical school, creating a bond that could never be broken or forgotten. They all became lifelong friends. Sand & Sutures has a very pleasing quick and efficient pace, covering about 3 years or so of the joy and happiness, anger and fear, the celebrations and some of the lower points that occur in all of the characters lives, much like the peaks and valleys that occur in own lives. I never had the sense that any portion of Sand & Sutures was over described or went on too long about any particular thing nor did I feel that I was missing anything regarding any element of the book. The timing and pace was PERFECT. I wonder if this might be due to the author’s editing abilities and if this is true, author L.M. Nelson is a true GENIUS in that department. In Sand & Sutures, the characters are incredibly well developed, each one as interesting as the next. When reading a book that has many characters, I have often had the problematic experience of not being able to connect to each one, forgetting their name and relationship to the story, ruining that delightful flow of seamlessly reading by having to stop and think, who is this person and what are they doing here? This is most definitely not a problem in Sand & Sutures. Each character has a clearly defined personality and role in the story. Author L.M. Nelson writes dialogue, both internal and verbal, with the precision of a surgeon, no pun intended. Now, while we are on the subject of characters, OH, THE CHARACTERS! I quickly became emotionally involved and invested in each character. I find this to be a great asset to a story and an impressive skill on the part of the author. My feelings regarding these characters are as such: I always want to be able to pick up a Scrubs book, check in and see what’s happening in their ever evolving lives. Are they well? How are the kids? They must be growing up fast, can’t wait to see them in the next book. I want to send Randy Hanson a nice coffee basket for Christmas; I know he would love it. I wonder if so and so ever got over that difficulty they were having. I also realized that these characters are universal in appeal. “Scrubs” is a book series that will be enjoyed by men and women alike, the young and old, people from all walks of life. A magnificently written, read at your own pace because the pace in the book will always be consistent with unforgettable characters and compelling, ever changing story lines. Better yet? There are FOUR books to keep you entertained for quite some time. These are the kind of books that you will want to always have on your nightstand or keep in rotation with your other books because they will never disappoint, you can always count on it, a reliable good time. If you know a book lover or have one in the family, the Scrubs series would make a great gift because of the book’s universal appeal and exceptionally good writing. There are two other very prominent characters in Sand & Sutures and I suspect in all of the books in the Scrubs series that have no dialogue. The first quiet but ever present character is the city of Seattle, Washington. You can feel the green, picture the fog, sunshine and rain. The features and terrain of Seattle have been lovingly and subtly written in as the characters walk through their days. It now comes as no surprise to learn that the author spent a great deal of time in Seattle and I have a feeling she loved it because it feels loved in the reading. The second character is the medical profession. When I began reading the book, I asked the author, how do you know all this?! All of the details of what happens in a hospital setting, in neurosurgery, in the field of an OB GYN? I fully expected her to come back and tell me that her husband or father was a Doctor. The detail is so good, so spot on, completely relatable and not too technical. My thoughts were that someone who is very close to her in her life MUST be in the medical field. At no point in this book does the backdrop character of the medical profession feel “researched” or foreign. Nor is it ever overdone or under done, purely well done. The medical environment in which the book takes place felt so natural that I thought the author must be immersed in it somehow. I was very surprised to learn that that was not the case at all. 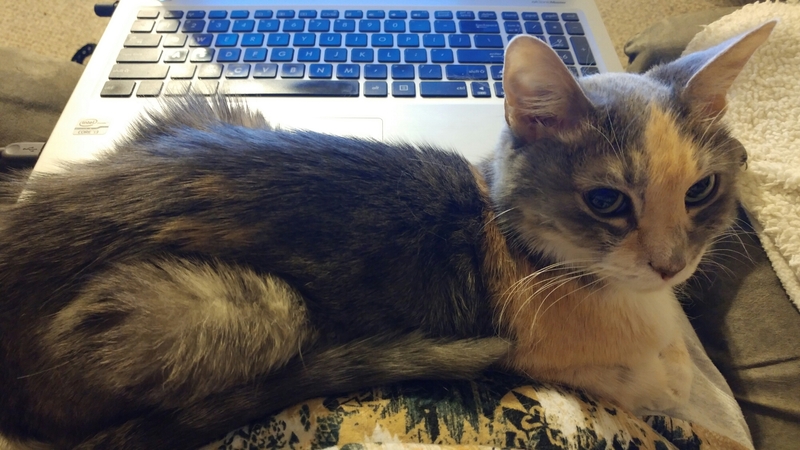 Her answer to me was research. After completing the book, this one answer really goes back to everything else I have learned about author L.M. Nelson. Her style is precise but not sharp, her characters are warm and inviting but not sticky and gooey and she is a master when it comes to dialogue and pace in her writing, a perfect trifecta! If I may, I would like to tell you of my experiences and interest in the works of independent authors. It began when I became somewhat bored of reading the books of the usual. You know the ones, the usual authors with the big publishing houses behind them. The usual books that are easily recognizable due to expensive marketing campaigns. The usual widely read books due to their familiarity. I read a lot. I mean, A LOT. If you are reading this, you probably read a lot too. I became so familiar with each of the usual author’s style, methods and writing formulas that I felt I was reading the same old things in the same old manner over and over again. I began to seek out new material and it was then that I came across independent authors. These were books that I could not find in my usual book haunts, or in my book trade with my neighbors or on my library’s shelves. The works of independent authors are the books that I have come to read on a regular basis with very few exceptions; I do like a Michener every now and again. My point is that there are so many extremely talented writers out there that you might not ever have the opportunity to enjoy because they don’t have expensive marketing campaigns or name recognition. These authors write because they love to write and in the past several months, I have read so many wonderful, beautifully written books that I have absolutely loved. Sometimes I think to myself, I cannot believe that these quality works of art will not be as widely read as some other books that I actually find to be of lesser quality. It boggles my mind and I find it to be so unjust and I feel for the others like me that love to read, for so many it is a way of life, that they may not stumble upon these lesser known but highly talented independent authors. That being said, I highly recommend the Scrubs book series as a great place to start or continue if you are so lucky as to already know about these hidden gems! Start with Book #1 or just dive in and get all the books in this series that are available! I am certain you will enjoy them just as much as I have. I consider myself to be a pretty good authority on the subject of books due to the mere fact that I have read for nearly my entire life, thousands of books. As I mentioned above, for some reading is a way of life. It is my lifestyle. I now feel very fortunate to have discovered this whole new literary world. I no longer judge a book by its shiny new cover and a photograph of a well known author. I have now immersed myself into the world of independently published books and have the joy of judging it purely by its content.